Catalogues should have disappeared by now, shouldn’t they? Now that nearly everyone has a smartphone or tablet with them at all times, you would be forgiven for thinking that physical catalogues had no place in our new digital world. But the fact is that they are still around, and they are still proving to be essential sales tools. So why is this? Despite the rise of digital books, magazines and catalogues, people still like print. They like how it feels in their hands, how comfortable it is to hold, how it smells, how they can interact with it. Quite simply, digital has not managed to take over print yet. Until that day, people will still be reading catalogues. 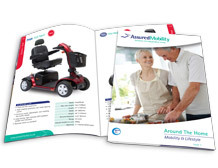 With a physical catalogue, there is no turning it on, there is no need to have a tablet or other device to hand, there is no need to visit the website and search for the product you want. Everyone knows exactly how to use a catalogue to find what they want to. Catalogues don’t need batteries, they can be left on the coffee table or stuffed into a bag and they don’t get broken or stolen. They are, quite simply, more convenient in so many ways. Many large brands understand this as Ikea demonstrate with the video below. There is a big difference between reading something on a printed document and reading something on a screen. When it comes to catalogues, some websites are simply not very efficient at providing the navigation experience that people expect. Physical catalogues are often easier and more pleasurable to browse. They encourage casual browsing rather than looking for something directly. People pick catalogues up and flick through them like a book, finding things that stand out for them that they may never have seen on a computer. This whole idea of browsing through a catalogue is good news for marketers. They can send out bright, attractive, quality catalogues to their targets and hope that they will be picked up and looked through. Online, it is hard to get people to simply browse your website unless they are looking for something very specific, but catalogues don’t have that problem. While it’s true that many people make purchases online because it is so easy and convenient, catalogues are still very much involved in the process. People like to do their browsing in a catalogue and then turn on the computer when they are ready to buy. Marketers can assist this process by adding features like QR codes or interactive pages to make the purchasing process even simpler. Quite simply, physical catalogues and online stores work side by side very effectively. Marketers know what works, and they know that catalogues still have an important role to play in the sales process. Even if people do not buy from catalogues directly as much as they did in the past, it is clear that many people still enjoy the process of browsing through them and using them to help make purchase decisions. The bottom line is that catalogues still generate sales, until this changes they are not going anywhere.